We have a special batch of words that we use quite regularly once we’re parents. 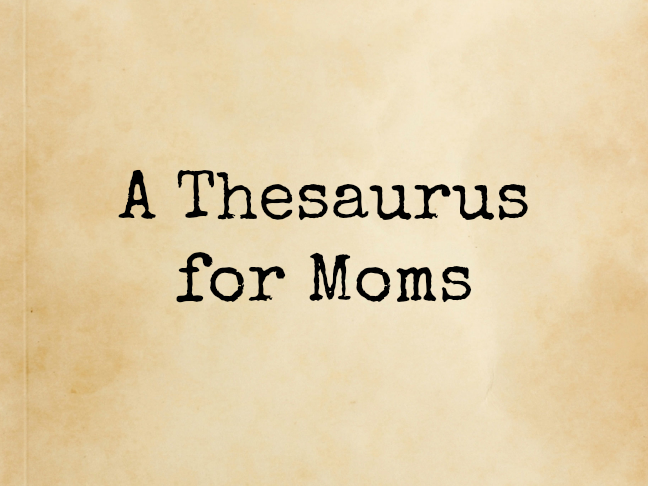 They do the job just fine, but I’ve decided to define them much more clearly with perfectly accurate synonyms; call it a Thesaurus for Moms. Feel free to use these at your leisure.